just a bit frayed: All About Camp Stitchalot! And my interview with Pat Sloan! All About Camp Stitchalot! And my interview with Pat Sloan! In case you missed it, yesterday I had the pleasure of being on Pat Sloan's radio show again! It's always so nice to have a little chat with Pat. This time I focused on Camp and Glamp Stitchalot. We talked about what a retreat is like and a few questions that folks had asked on her Facebook page. It's about 12 minutes long so make sure you pop over to Pat's site and take a listen. 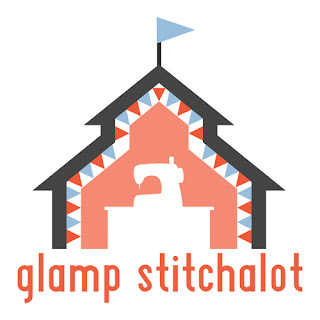 This year we are going to have two Camp Stitchalot events. Of course I'm always trying to make our events better after getting feedback from attendees. So, there are going to be a few changes this year! And I know they will be for the better. Here is a short breakdown about our events! This Camp will be a totally new format for us! First of all, I'm really excited to have a bag making weekend. I love bags but there's a lot to learn about them. Interfacing, zippers, hardware... what needle to use? Lucky for us we have two of the best bag makers on Earth coming to help us out. 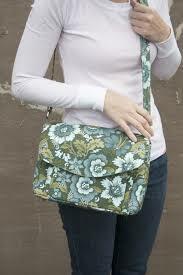 Sara Lawson of Sew Sweetness is coming to teach her awesome Appaloosa Bag! How cute is this handbag? I chose this bag to learn because of it's many pockets. You can see that there is a really cool accordion style pocket on the front and also a welt zipper pocket on the inside. You will also learn how to install some hardware! This bag has rectangle rings and a slider on the strap. And a magnetic snap closure. And Sara will talk to you about how to interface this type of bag. This uses the byAnnie Soft and Stable. 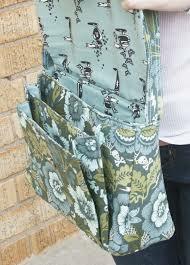 It gives your bag a nice sturdy look but it's still soft and easy to sew through. Annie Unrein from byAnnie is going to teach her Bowl Me Over Bag. 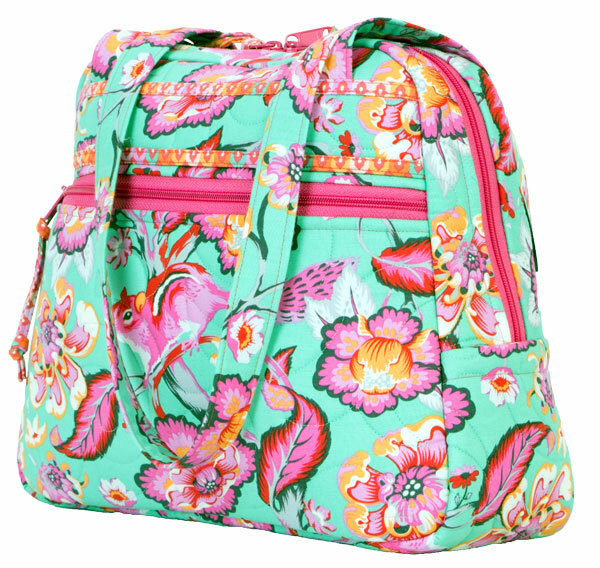 This is the perfect bag to take as a carry on or a weekend trip! 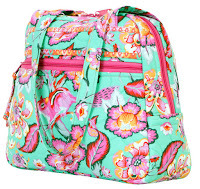 And there's a lot of great information you will learn while making this bag. This will also use Soft and Stable sew in interfacing, a lightweight fusible interfacing and several zippers! Even a magnetic snap! At the retreat, you will work on one bag per day. You get 6 hours of classes (each day! ), light breakfast, snacks, lunch AND open sewing time at night! Pink Castle Fabrics will be providing Janome Skyline S7 machines for everyone to use in the class as well! Dinner and overnight rooms are not included. CLICK HERE FOR INFO AND SIGN UP! Glamping = Glamorous Camping. Well, okay, so we aren't actually camping. I mean, I'm not taking my sewing machine out in the woods. For this Glamp Stitchalot we have changed our format a little bit. This time we have four star studded teachers with longer class times. And we will be at a new location! The Sheraton in Ann Arbor, MI. We have also lowered the amount of tickets that we will have for this event. There will still be A LOT of awesome new sewing friends to make, don't worry! This year's teachers are going to be a lot of fun. I mean, Anna Maria Horner, Lizzy House, Guicy Guice and Anne Marie Chaney! 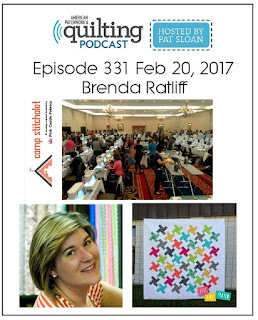 We are going to learn some great small paper piecing, machine applique, and curves too! The best thing about Glamp is that all your meals are included. So you don't have to go out into a city that you aren't familiar with to hunt down food. That just takes away from your sewing time, in my opinion. We have a lot of fun with swaps and getting to know each other before our events too. You will leave with new friends and some awesome new sewing skills. The Sheraton has amazing food too! Food and sewing...I mean, that's pretty much all I care about! Rooms aren't included in the price but we have a discounted rate at the Sheraton! Check out Stitchalot.com to keep up with all our new events! I hope to see you here soon!